Oregon’s Upper Klamath Basin is one of the warmest watersheds in the Pacific Northwest. Despite its naturally warm waters, the basin supports abundant redband trout. These are some of the largest-bodied trout in the entire U.S., and are a culturally and economically important species, providing the last remaining subsistence fishery for the Klamath Tribes and drawing recreational anglers. 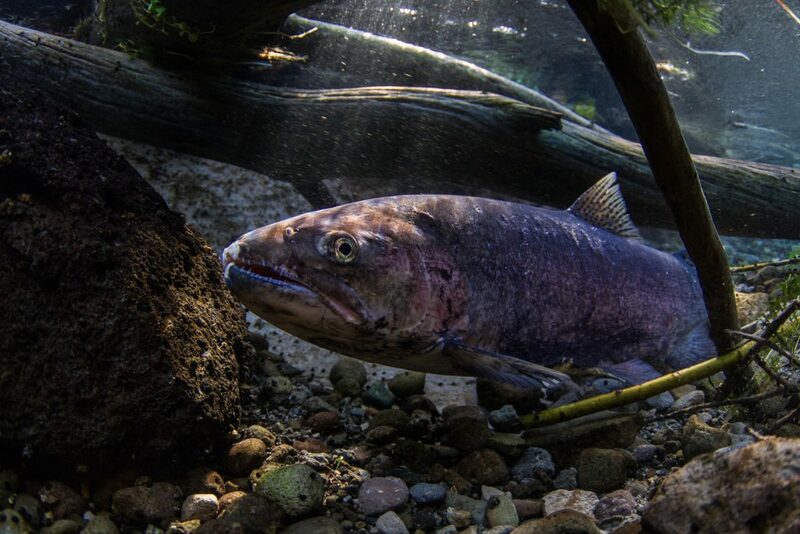 The ability of this coldwater species to survive in one of the region’s warmest watersheds could hold valuable clues for conservation in the face of warming global temperatures, which represents one of the biggest threats to North America’s coldwater fish. Previous research has found that redband trout rely heavily on spring-fed habitats. These springs provide pockets of cooler water for relief from extreme temperatures in the summer, and comparably warmer waters for spawning in the winter. Fish will migrate long distances to spawn in these habitats, sometimes 100 miles or more. However, there is currently a lack of information on how these “refugia” are used by fish throughout their life cycle. This prevents managers from understanding how refugia scale-up across the landscape and support fish at the population level. The goal of this project is to identify how redband trout use coldwater refugia at each life stage to survive extreme heat. Researchers will develop maps of existing spring-fed habitats and the life-stages that each supports, in addition to maps of currently impaired spring-fed habitats and the life-stages that they would likely support if restored. This information will be critical for restoration planners, including those with the Oregon Department of Fish and Wildlife, Trout Unlimited, and the Klamath Tribes, as they refine strategic approaches for ensuring that key cold water habitats are protected and restored. For example, the results will be incorporated into two of the most important habitat restoration plans in the western U.S. – the Upper Klamath Basin Watershed Action Plan and the Klamath Anadromous Fish Reintroduction Implementation Plan. The results can also be used by managers beyond the Klamath Basin to better understand the habitat conditions that coldwater fish in other watersheds will need to survive in a warming future.